Need to sit an AMEB theory, musicianship or music craft exam or want to brush up on your knowledge of music theory? Derek Moule (AMusA, BSc, MClinAud) is passionate about teaching music theory in an enjoyable and meaningful way. Generally Derek does not use standard music theory books but develops his own materials to help you understand music theory which are provided at no extra cost with lessons. Derek is an experienced brass player and so understands the different challenges music theory poses for students with little experience on piano. Derek also writes music and enjoys teaching students 4 part harmony. The AMEB has 3 music theory courses; theory of music, musicianship and music craft. Derek is available to help students with any of these courses. 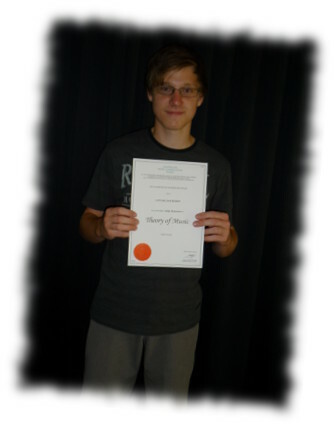 Derek travels within Port Macquarie to teach you in the comfort of your own home! Students residing in the surrounding areas by negotiation. $250 per school term. Weekly lessons, 8 per term. Longer lessons, one-off lessons, group lessons etc by negotiation. A 10% discount applies for seniors / carers card holders. For further enquiries please phone Derek Moule on 0404 431 022 or contact Derek.